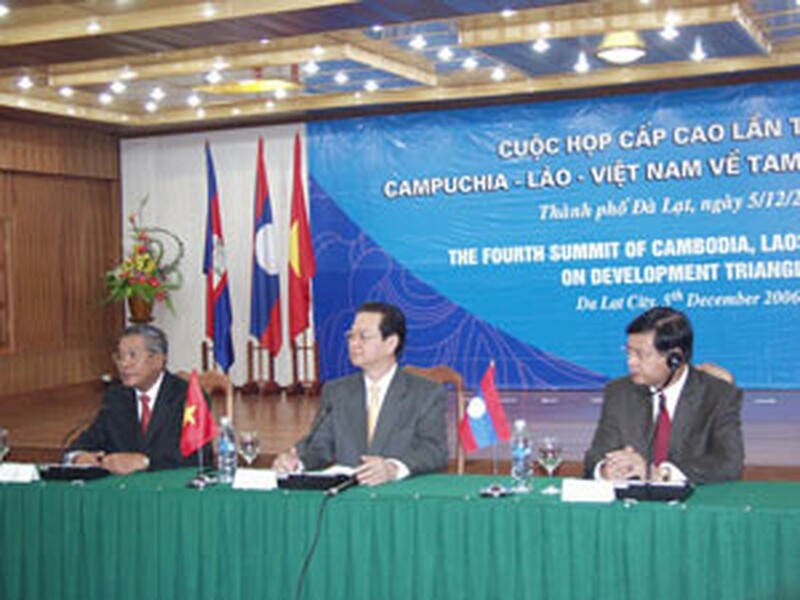 Measures to promote the Viet Nam-Laos-Cambodia triangle of development topped the agenda of the fourth summit held between Prime Minister Nguyen Tan Dung and his Lao and Cambodian counterparts, Bouasone Bouphavanh and Samdech Hun Sen, in Da Lat city, the central Highlands province of Lam Dong, on Dec. 5. At the summit, delegates reviewed the on-going implementation of a master plan to develop the border region between the three countries, which they said has yielded encouraging results in various fields. The master plan was based on agreements reached between the Prime Ministers of Viet Nam, Laos and Cambodia at their 3rd summit in July, 2004, and on the Vientiane Declaration on building the development triangle. The plan was ratified by the three countries on Nov. 28, 2004. 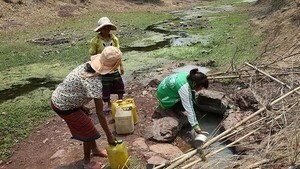 A number of projects involved in various areas such as hydroelectricity, mining, and the development of industrial crops have been carried out in the region, the three sides said, adding they have actively prepared human resources for further development like establishing a network of vocational training centres in Laos' Sekong province and Cambodia's Ratnakiri and Mondulkiri provinces. Many Vietnamese schools have actively cooperated with their Lao and Cambodia partners in this field. Concerning development orientation, the three sides agreed to continue with their cooperation to carry out the development plan with the aim of intensifying joint investment efforts between the three countries in the triangle region, reaching an agreement soon on a mechanism aimed at creating favourable conditions to attract investment and promote commercial development. They also discussed the organisation of a meeting of the Joint Committee on Cooperation and Development of the triangle in early 2007, and an investment promotion conference at the triangle region with the participation of Japan and other partners. Addressing the summit, PM Dung proposed all sides focus on specific programmes like reviewing the construction of the development triangle, a cooperation mechanism between the three countries in the region, preferential policies, and affirming the three countries' determination to speed up the development of the triangle region. The three PMs held a private meeting on the sidelines of the summit, discussing issues relating to promoting cooperation and developing the triangle between Viet Nam, Laos and Cambodia. A joint statement was issued at the end of the summit.